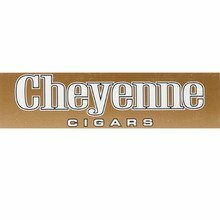 These Full-Flavored Cheyenne Filtered Cigars are small, flavorful, smooth, rich, and cheap as heck as far as the price goes, but not in quality, taste, strength, or body. The cigarette-style smokes are available in handy packs of 20. Each carton contains 10 packs for a total of 200. Get yourself some to enjoy right here at JR Cigar. My review of filtered cigars I've tried. I've tried most of the filtered cigars offered here & this is my favorite so far. I have recently switched from Liggett non-filter cigs because the price was raised to over $8.00 a pack. I wasn't familiar with filtered cigars & read lots of reviews prior to ordering. Luckily a close friend is also trying the cigars so we each buy different brands & swap out the packs to sample - I've shopped out many vendors & found JR to offer the best prices & service. Below is a list of the brands I've purchased & sampled from JR. I am listing these from best to worst after smoking at least 1 pack of each... Cheyenne Full Flavor Red - 5 stars and is my favorite - The full flavor is very much like a traditional cig with no sweet or artificial taste. These cigars are rolled nicely and burn clean without having to re-light. Very much worth the extra couple bucks for quality this good. Virginia Heritage Full Flavor Red - 4.85 stars. Very much like the Cheyenne's for taste and burning quality - excellent smoke & great price too. Derringer Full Flavor 100's 4.8 stars - For the price these are unbeatable. Excellent and very similar to my top 2. These are priced unbelievably low for the quality. 38 Special Original Filtered Cigars - 4.5 Stars - Very mild & enjoyable smoke - burns consistently. Filter has a slight sweet flavor but overall one of my faves. Talon Regular - 4.0 Stars. This is a strong, good smoke and the filter has a pleasant sweet taste though it does not seem to affect the natural taste. It is a good choice but because it is a stronger cigar it takes longer to smoke and will need to be re-lit a time or two if left burning in the ashtray. Gold Rush Original Red Large Cigars - 3.75 Stars. These are the same size as other filtered cigars and they are decent cigarette-like cigars. It has a good flavor but is sometimes difficult to keep lit. Seneca Red, Phillies Red (Sweet) - I really don't care for either of these. Both are often difficult to light & keep lit. The Phillies sweet were sent by mistake & I have not tried their original cigars. Lex12 Carnal Ecstasy - This is an extremely strong and full flavored cigar. A bit pricier than the rest I've tried but difficult for me to smoke because it is just too strong. Cherokee Red Large Cigars - These are very strong but difficult to keep lit. I tried to chop part of the filter off for an easier drag and found sand-like particles halfway through the filters. Not sure what these are or their function. These are my least favorite so far. Sometime they are not made so well but over all my Fav. A Great "Long Drive" Smoke.